A warming Arctic and melting polar ice caps are quickly opening up the polar regions to new shipping routes and tourism, which could significantly boost the global maritime industry. The warmer sea water could lead to ice-free conditions for as long as 125 days each summer by 2050, increasing the likelihood of commodity shipping, according to a report by the UN climate panel. With this comes greater responsibility to protect the unique environments of the polar regions – which is why authorities are scrambling to get a Polar Code of Conduct in place. Ships operating around the North and South Poles will have to follow a mandatory international code of safety, which is being developed by the International Maritime Organization (IMO). 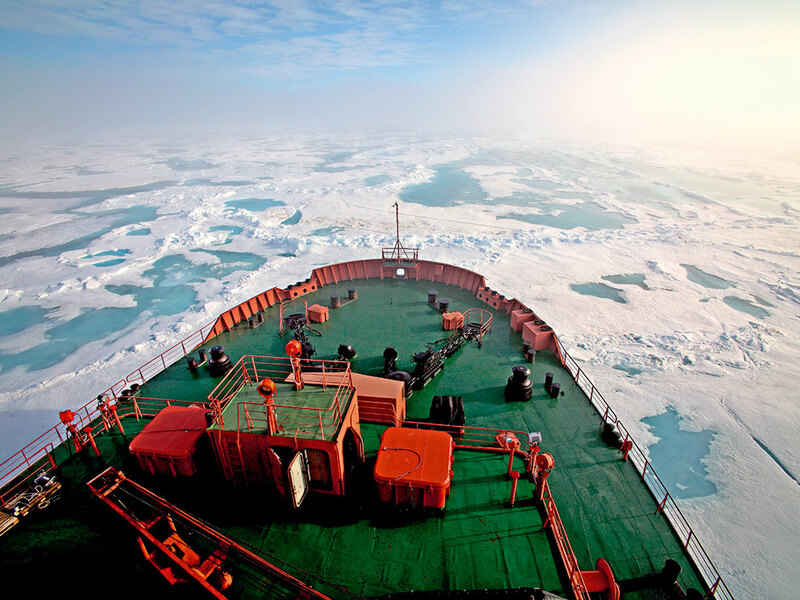 The Polar Code covers all aspects of polar navigation for international shipping, including design, construction, equipment, seafarer training, search and rescue protocols, and environmental protection matters. The hope is this can ensure a viable trade and shipping route through the Arctic: one that won’t hurt or damage the fragile environment. Nevertheless, the establishment of such a code has been controversial because it implies more traffic in and around the Arctic, which currently enjoys great protection from states and international NGOs. “The economic development and increase of commercial activity in the Arctic region is a contentious subject,” said the IMO Secretary-General, Koji Sekimizu, in a recent speech to the Arctic Council. “We have to face facts and deal with realities; and the reality of today is that commercial activity and economic development in the Arctic is increasing, and increasing rapidly. A draft of the Polar Code has already been approved and the final details are being put in place so the rules can be implemented by 2016 or early 2017. Mandatory measures will include safety regulations and pollution prevention. Ships intending to operate in polar waters will have to apply for a Polar Ship Certificate, which will place them in one of three different categories depending on their capabilities to withstand different types of icy waters. This will be based on an assessment identifying operational limitations, and plans, procedures or additional safety equipment to mitigate incidents with consequences for safety or the environment. 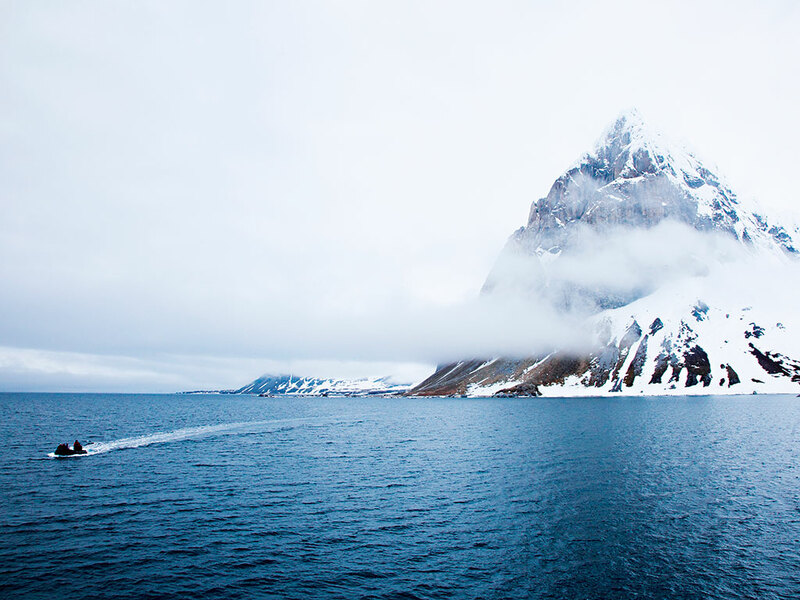 Under the code, ships will also need to carry a Polar Water Operational Manual with sufficient information to support their decision-making process when in polar waters. Most importantly, the code will set out requirements that include functions to prevent oil, liquid, sewage and garbage pollution from ships, which could all be detrimental to the sensitive polar ecosystems. Simon Bennett, External Relations Director at the International Chamber of Shipping (ICS), said the shipping industry will comply with the Polar Code and that, in essence, it is codifying a lot of good practices that are already in place. In particular, firms operating in the Baltics are used to similar conditions and many ships already have ice classifications, which ensure a strengthened hull for operating in icy waters. The Arctic has warmed at about twice the global rate in the past three decades. This has contributed to record low sea ice (which has shrunk around 10 percent every 10 years) in recent summers. 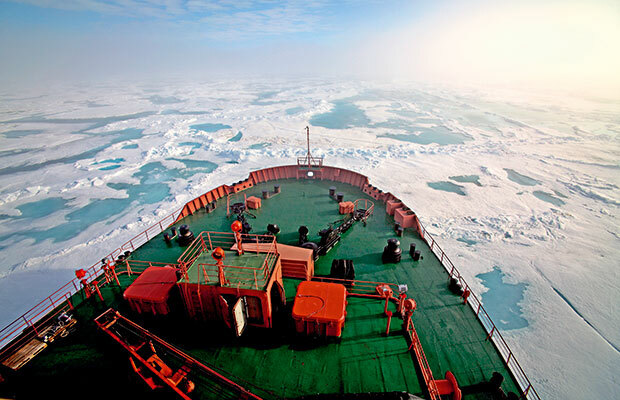 These ice-free periods could open up new, trans-Arctic shipping through the Northwest Passage and Northern Sea Route (NSR) over northern Canada and Russia. “Increased shipping associated with the opening of the NSR will lead to increased resource extraction on land and in the sea, and with two-way commodity flows between the Atlantic and Pacific,” the Intergovernmental Panel on Climate Change said in a recent report. The majority of activity in the Arctic is related to the resources and drilling industries. Opening up the NSR would primarily serve to create a new delivery route for such projects: the Arctic does not offer port rotation and has therefore been less commercially profitable. “Any new opportunities like the Northern Sea Route are beneficial to our industry, but the real benefits will be felt by off-shore activities,” says Bennett. “We expect an increase in bulk cargo and an opening up of iron ore and mineral mining in the region, which will also foster traffic.” The IPCC also noted a surge in cruise tourism throughout Greenland, Norway, Alaska and Canada. However, according to the ICS, the Northern Sea Route presents a lot of unknowns. That could make it a less popular choice with shipping firms who need to rely on consistent routes that aren’t subject to seasonality and unpredictability. Shipping accounts for 80 percent of world trade by volume and about three percent of global carbon dioxide emissions. Shorter shipping routes could cut both emissions and the costs of trade, with shipping from Shanghai to Rotterdam via the Northern Sea Route being 2,500 nautical miles shorter than the Suez Canal route. However, these benefits could quickly be outweighed by the costs and uncertainties related to shipping in the Arctic. Ships using the Northern Sea Route, sailing along Russia’s coast, also have to contract Russian nuclear icebreakers, which usually proves to be a costly affair given their monopoly in the region. With recent turmoil in Crimea causing a war of sanctions in Europe, this option is also becoming increasingly uncertain. The ICS does not consider the NSR a likely alternative to conventional routes; it is simply too circumstantial a route to bet on for an industry that is largely dependent on constant trade routes. That said, polar traffic will increase and this is good news for the logistics industry. With the code, there is hope that this is one development that won’t damage the environment any further and will ensure sustainable economic growth in the region.